Ad agencies are under increasing pressure to stay ahead of the curve as more of their budgets move towards digital. Few players know that better than WPP's CEO Martin Sorrell, who spoke about the challenges brand marketers are dealing with during the opening keynote at Dmexco, an industry conference in Cologne, Germany, that kicked off today. "We believe the measurement problem needs to be changed," he said. "The traditional model, for example, in the U.S. with Nielsen is not efficient, effective or accurate in measuring traditional media. The standards for a view on [linear] television are much higher, whereas online, they're much lower." Even as WPP has recently invested more in digital players like BuzzFeed, Adobe and Snapchat, Sorrell said online media still lacks accurate measurement tools, singling out Facebook and its ongoing viewability issues. Facebook, in particular, has come under heat in recent months from some advertisers who do not want to pay for videos that are viewed for only three seconds as someone scrolls through a newsfeed. Many of those videos play without sound since someone has to click on a clip for the sound to kick in. "Three seconds—and 50 percent of video online not listened to with sound—is ludicrous," Sorrell said. "The standards have to change." UPDATE: The 3-second viewability figure Sorrell referenced isn't actually the one used to determine ad payment. In fact, most of the network's video ads are charged even faster. The video ads are typically charged instantly, though some advertisers can choose to pay only after a viewer has watched 10 seconds. Sorrell explained that looking for better ways to measure online media is only part of a bigger shift in reshaping WPP's business during the past 15 years. In 2000, fast-growth markets made up 10 percent of WPP's business. Today, fast-growth markets make up 30 percent of its revenue. Digital comprises 36 percent of WPP's business—equivalent to $6 billion—and Sorrell's goal is to make digital 40 percent to 45 percent of revenue in the coming years. Data investment makes up another 25 percent of business, or $5 billion in revenue. 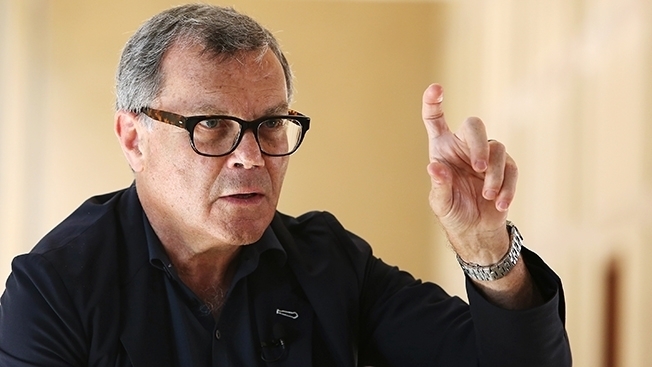 "If I compare WPP in 2000 to 2015, it's a very different company," Sorrell said. "Half of our revenue base has been initiated in the past 15 years." In terms of areas for growth, Sorrell pinpointed China and Iran as huge opportunities. "The biggest increment in potential revenue for all the agencies comes from China," he said. "It's a shift in power from New York to the East to China and India."